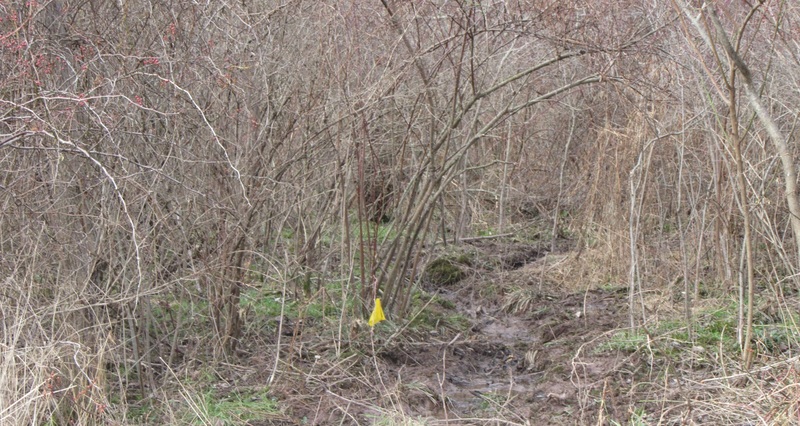 A single yellow flag marks the spot along a wood line in Washington Township where a body was discovered on Dec. 26. Meshoppen Borough Police have confirmed that a body was found about 20 feet off Mountain Road near the Washington Park neighborhood on Dec. 26. A person walking along the road noticed the body in a heavy briers at a wood line at about 10:30 am. The investigation is ongoing, and additional details will be released as they become available.